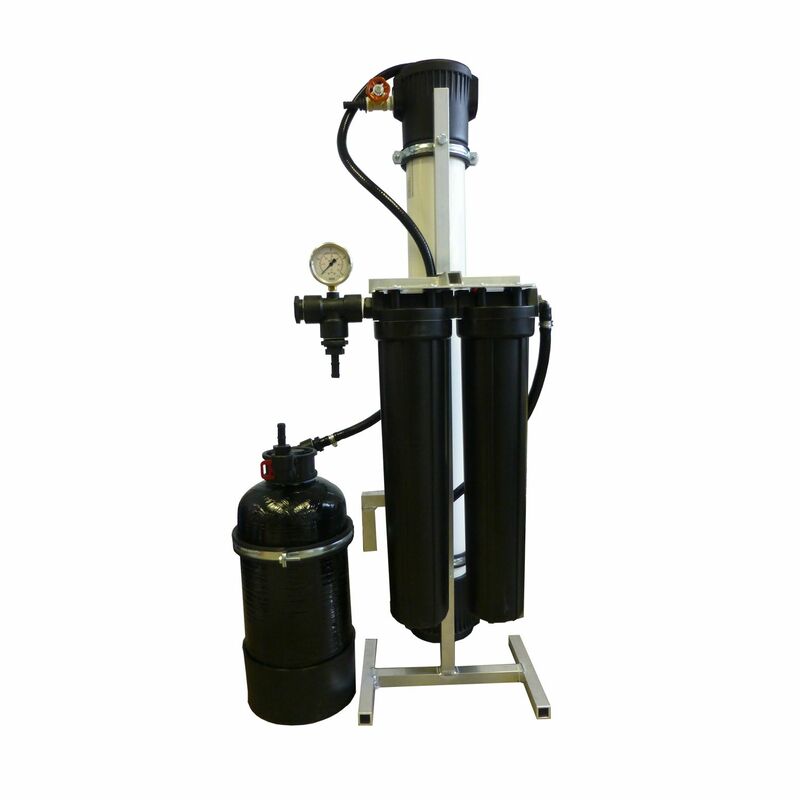 This static 4-stage R/O filtration system is designed to produce up to 2000 gallons of purified water per day. These filters are all mounted on an aluminium self supporting upright frame. This 4-stage static R/O system is the ultimate in pure water filtration, designed for those that want hassle free and low day to day maintenance to produce bulk water on a massive scale and in the shortest time possible. This system offers filling times of around 200ltrs an hour based on an average household tap pressure. This system is ideal for people who want a static based filtration system separate to their vehicle, most people store these in their garage, shed or out building. Its recommended to offer a certain amount of insulation around the plastic filter housing if the unit is to be kept outside during colder winter months, as there is potential for the filters to crack if exposed to freezing temperatures. 1 x The SRO Spectrum 40” R/O membrane is capable of producing up to 9,500 ltrs of pure water a day. With ultra efficient (99%) rejection rates of the SRO -4040, with its low operating pressure capabilities (6.8 bar) make it an ideal energy saving, economical, high efficient membrane.